1. 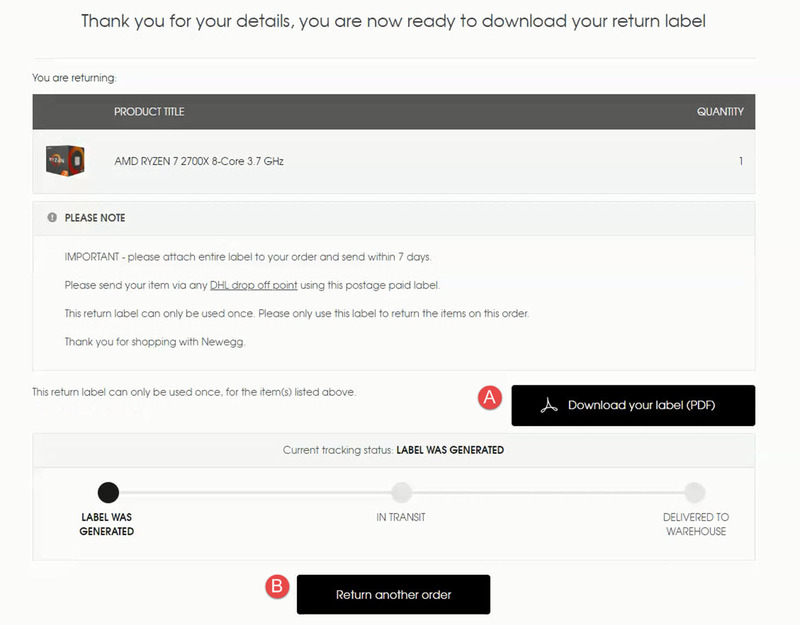 Log in to your account and click on the blue Return button on the order history page to start the return process. 2. 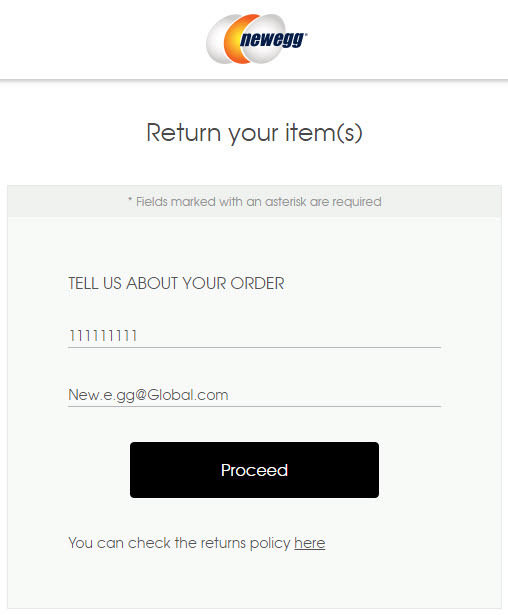 On the first step of the return process you will see your related order number and email already filled out. Once confirmed correct, click Proceed. 3. Please select which items you will be returning, quantity and return reason. Click Proceed. 4. You can now choose your return method based on a carrier of your choice and price. Enter a valid email address if you would like to receive updates. Click Proceed. Please note that if you need to pay for your return, you will be re-directed to the payment page as shown below. 5. You can now view the final details of your return. Click on Download your label (PDF) in order to directly download your label. A.) Click to download your label. B.) If you would like to Return another order please contact customer service. 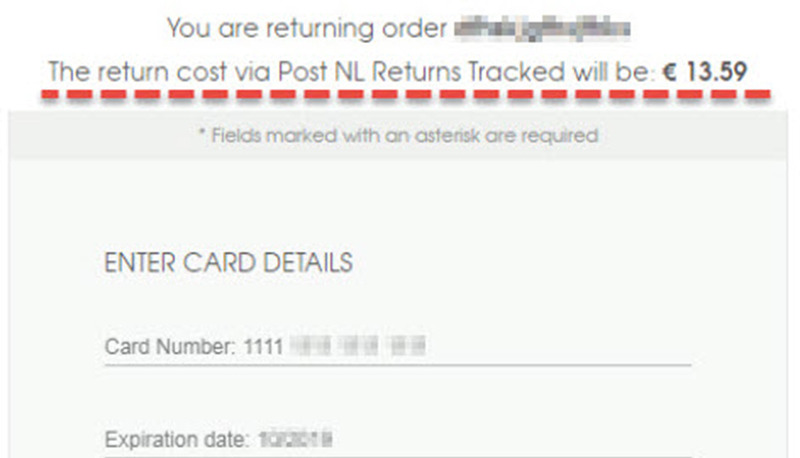 Although you can select multiple items at the time of creating a return, once the return has been created you must contact customer service in order to create a separate 2nd return.